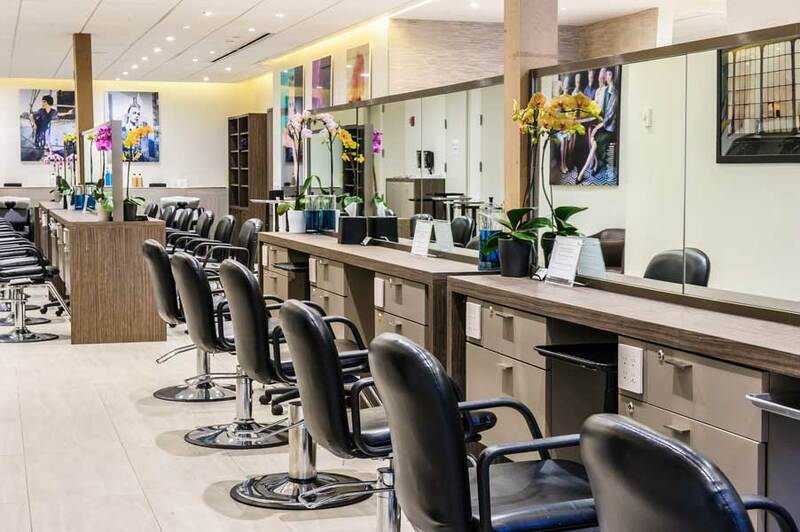 11 Most Popular Beauty Salons in New York with Best Ratings - The densely populated area of New York City can be seen from people who look busy with their respective activities. However, exhausting daily activities do not necessarily make you forget to take care of your hair. Beautiful and healthy hair is certainly the dream of everyone, both women and men. Fortunately, the crowded New York City makes it easy for people to access various facilities, including salons. Everyone who goes to the salon has a variety of needs ranging from cutting and tidying hair to styling. Here are some beauty salons located in the New York City area with good ratings based on Google. 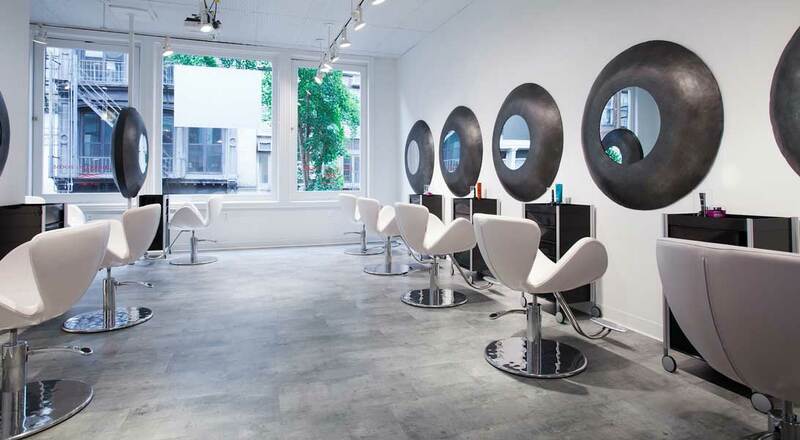 Shampoo Avenue B was mentioned as "The Best Hair Salon in The East Village, NY" and by famous magazines such as Vogue, NY Post, NY Magazine, Time Out NY, Glamour, and others. Each hairstylist has their own skills that provide services to clients. Some Shampoo Avenue B’s hairstylists, for example Brianne, a Stylist, Colorist, as well as Director of Education. He was trained under the top stylists from Sebastian Professional, Tony & Guy, Wella Professional, and L'Oreal. Other stylists Gregory, Simone, Ash, Erik, Monica, Lily, and others. The treatments of Shampoo Avenue B are divided into Men 's Cut, Women' s Cut, Highlights, Balayage, Ombre, and Keratin Smoothing Treatment. Shampoo Avenue B also provides Olaplex products, a new technology that allows hair to receive chemical changes and at the same time eliminate damage. 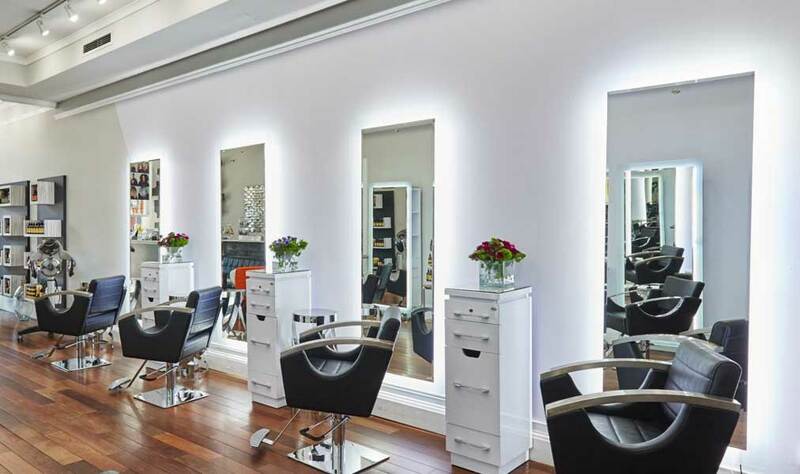 Mure Salon offers a variety of treatments ranging from styling, coloring, and hair cutting. Mure Salon services include Hair Color such as Clear Gloss, Single Process Color, Double Process Color, Highlights, and Balayage. Plus, styling including Oribe Treatment, Keratin Treatment, Haircut / Blowout, Olaplex, Men 's Haircut, Up Do, and Bangs Trim. To improve the condition and texture of the client's hair, Mure Hair Salon works with AVEDA products. Prices offered by Mure Salon vary depending on hair length and texture or desired results. For example Keratin Treatment which ranges from $ 250 - $ 295. 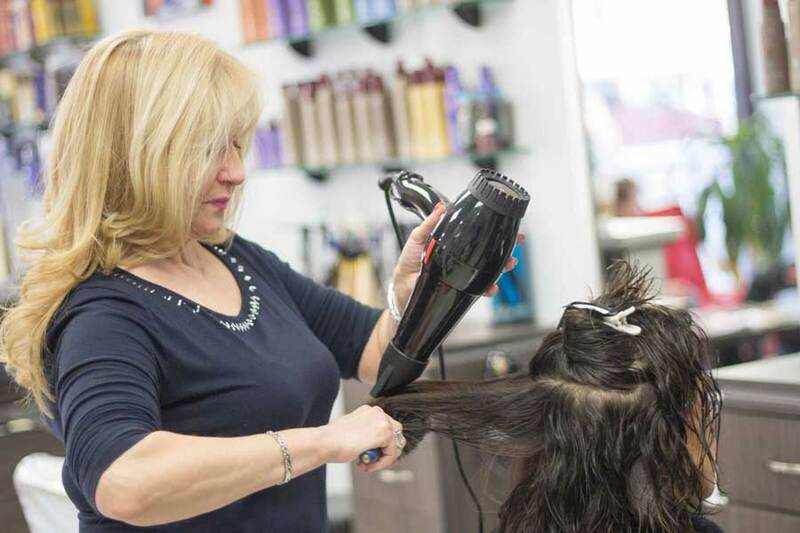 Cutler Salon provides a variety of hair treatments including Haircuts, Blowdry, Single Process Color, Men's Camo Color, Redken Chemistry System, Keratin Treatment, Half/Full Highlight, and Olaplex Treatment. 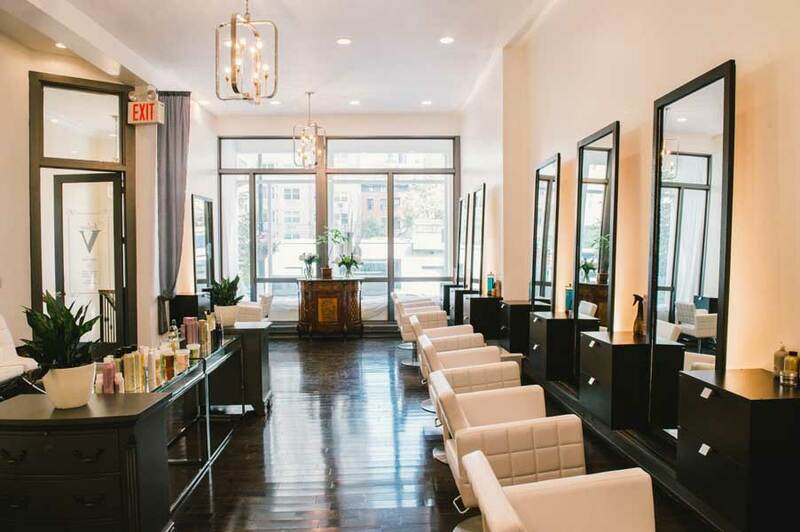 In addition to 5th Ave, Cutler Salon is also open in Park Ave, SoHo, and most recently in Williamsburg, Brooklyn. 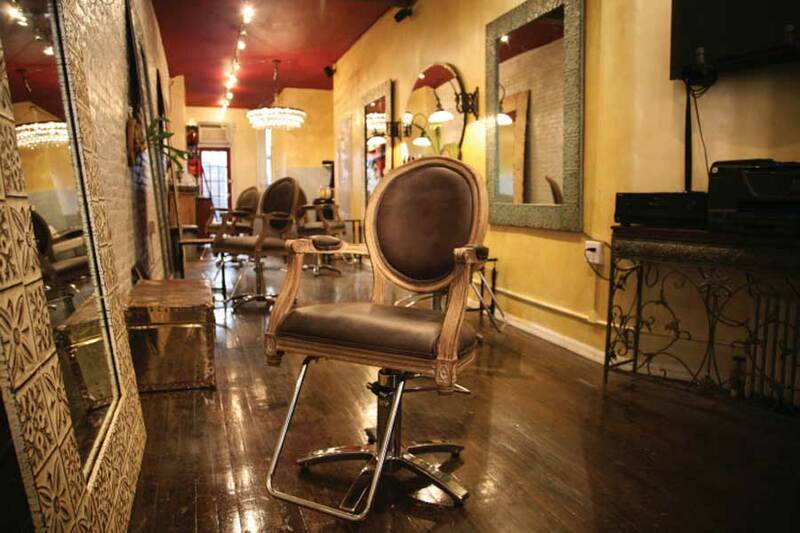 The Drawing Room New York has a deep philosophy, capturing the essence of art and beauty through hair. Every style that is modern, geometric, and versatile is a reflection of a unique personality. For The Drawing Room New York, hair is a canvas which is a form of expression and style as well as artwork. In the process of haircuts / blowouts, the client gets a detailed consultation that is suitable to individual needs. Each stylist will recommend the most suitable service. In addition, there are Hair Colors, Smoothing, Bridal Hair & Makeup, and Exclusive Milbon In-salon Treatment. There is also the modern wave perm, which can create volume, texture while keeping hair smooth at the same time. Husband and wife, Vernelle and Alan Murphy opened Salon V in 2004. 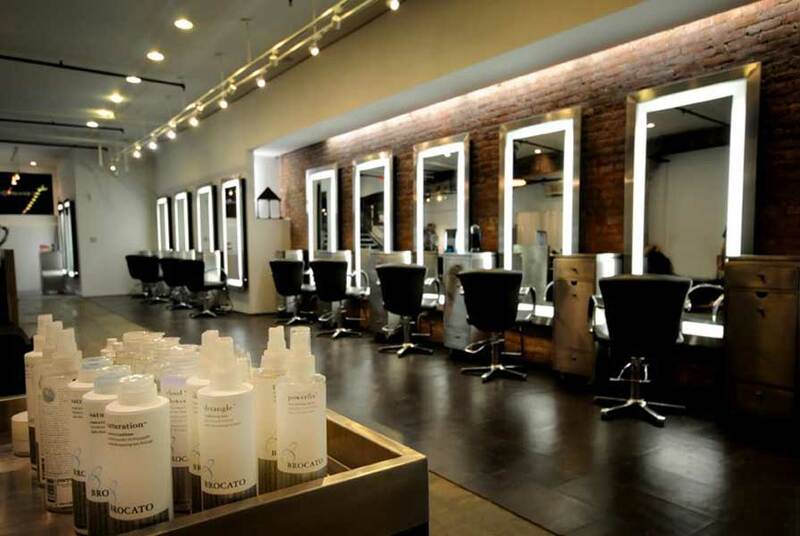 Initially, Salon V was located in the East Village but since 2014 moved to Greenwich Village. Vernelle, one of the owners, has work experience in prestigious salons in Honolulu, Los Angeles and New York City. His works include hair styling for indie film music videos, photoshoots to New York Fashion Week. Salon V, which has stylists with their respective expertise, offers a variety of services including Haircuts, Color and Styling. Other services are Perms, Brazilian Keratin Treatment, American Wave, and Collagen Smoothing Treatment. In addition to enjoying the treatment, the client is also provided free wifi. The products used by Salon V are Kevin Murphy, hair care products, and Color.Me by Kevin Murphy. Taka Tokuyama, a celebrity hairstylist, moved from Japan to New York City in 2004 and worked at Warren-Tricomi Salon. Aside from being a hairstylist, Taka was also an editorial stylist who served several famous celebrities such as Paris Hilton, Kindsey Loha, Edison Chen, and others. He also worked for popular magazines such as Harpers Bazaar, Teen Vogue, Nylon and Vogue. After gaining work experience, he then ran a business by opening his own salon on the Upper East Side, Manhattan. With his skills, Taka combines Japanese background with New York City. Besides the Upper East Side, Tokuyama Salon is also present in the East Village, and Tribeca. 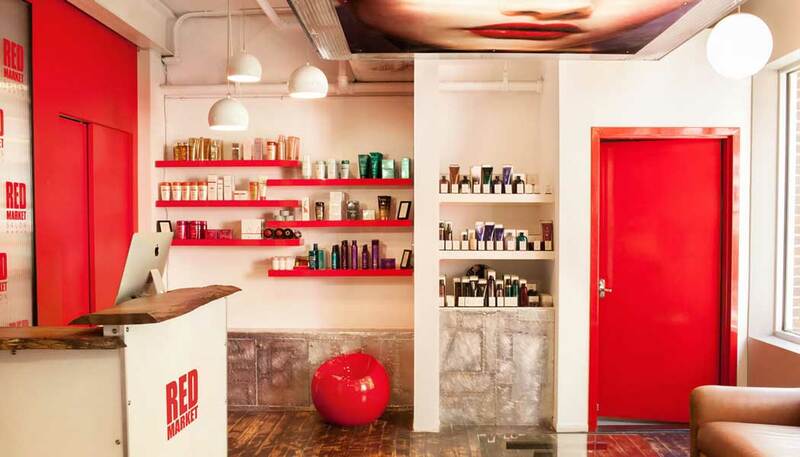 As the name implies, the salon founded by David Cotteblanche and Reynald Ricard features red-colored interiors. Both have been friends since 1992 and met while working for the most famous Parisian stylist, Jacques Dessange. Then, in September 2004, they pioneered a salon business by renting a small studio loft in Little West 12th. In 2010, they opened their second salon in Miami. The name of the Red market itself has hidden meaning. Red means “to inspire an atmosphere of evening lights with an attitude of glamor, red ropes, and the red carpet”. Whereas Market, taken from the history of the salon located in the Meatpacking District in New York City. Red Market focuses on balayage highlights and other services such as haircuts. The products used are Oribe Signature haircare line and Kerastase products at both salon locations. 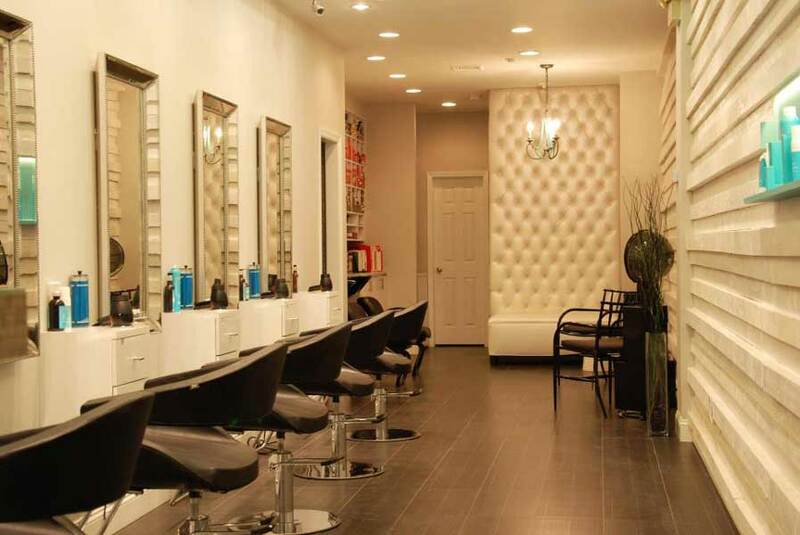 Opened in 2008, Sam Brocato Salon located in SoHo provides many services ranging from hair care such as Cutting, Coloring, Smoothing, Permanent Waving / Curling, and Styling to Beauty Services including Manicures and Pedicures, Makeup, Brow Design, and Waxing. Haircut prices start from $ 75 to $ 200. Each service includes consultation, treatment relief, shampoo and style. These prices vary depending on the level of experience and expertise of the stylist. In addition to treatment, Sam Brocato Salon also sells a variety of hair care products such as Together Beauty. Each product has its own uses, for example for cleansing, conditioning, styling, and finishing. Arco Salon has a vision, by using ingredients that are healthier, natural, and biodynamic without chemical treatment, the quality of life can improve. Gary Levin, the owner of Arco Salon, is a Color Doctor starting education under the top stylists who work in Redken and Aveda. He continued his career specializing in women's hair styling and grooming for fashion editorials. Clients can purchase Arco Hair Cutting, Hair Styling, Holistic Hair Color, Head Spa, Protective Hair, and Biodynamic Scalp Treatments. The clients purchasing Biodynamic Scalp Treatments undergo Rebuilding, Growth, Soothing, Rebalancing and Puriying processes. While Holistic Color Services is divided into Color Changes / Corrections, Full Highlights, Partial Highlights, Root to Ends, Root Touch Up. Toner, and Clear Shine / Glaze. Officially, Meraki Hair and Makeup Studio is named Gemmette Hair Studio located in the heart of South Shore of Staten Island. Meraki itself is taken from the Greek word which means "doing something with soul, creativity, or love". Every member of Meraki Hair and Makeup Studio is a Cosmetologist who has a license from New York State and has graduated from Meraki Advanced Academy. Services for clients include Makeup Enhancement, Styling, Balayage / Ombre, Highlights & Lowlights, Color Services, Formal Styling, and Texturizing. Each service can be adjusted according to the type of hair and how the look they desire. 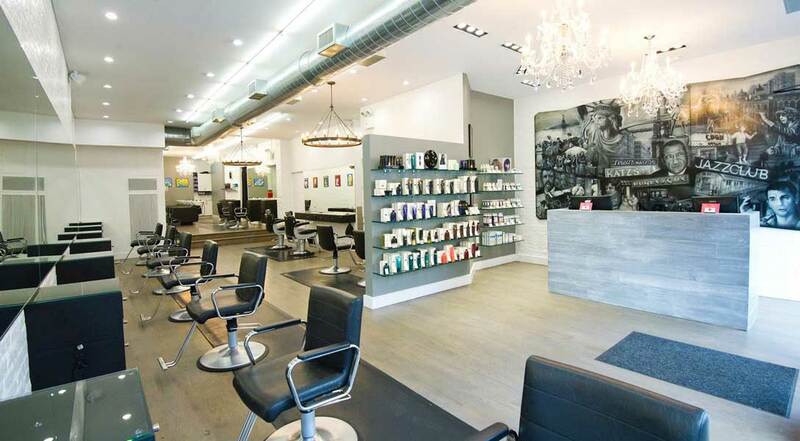 Le Reve Hair Salon, located on the Upper East Side, combines organic products with talented hairstylists. One treatment includes Natural Hair Cut for various types of short, medium and long hair. In addition, there are Natural Hair Care Treatment, Coloring Natural Hair, Natural Nail Care, and Natural Care for Men. Especially for men, there are various services such as Beard Trim, Men 's Color, Highlight, Relaxer, Keratin Treatment, and Men' s Hair Cut. Also available Men 's Wax includes under arm for men, full body wax, abdomen, chest, back, shoulders, and neck. Other services include facials consisting of Hydra-mini Flash Facials, European Deep Pore Cleansing, Deep Firming and Lifting Facials, and Red Light Facial Therapy. One of the popular services at Le Reve Hair Salon is a Body Treatment consisting of Aroma Therapy, Swedish Massage, Thai Massage, Body Scrap, and Slimming Body Wrap. 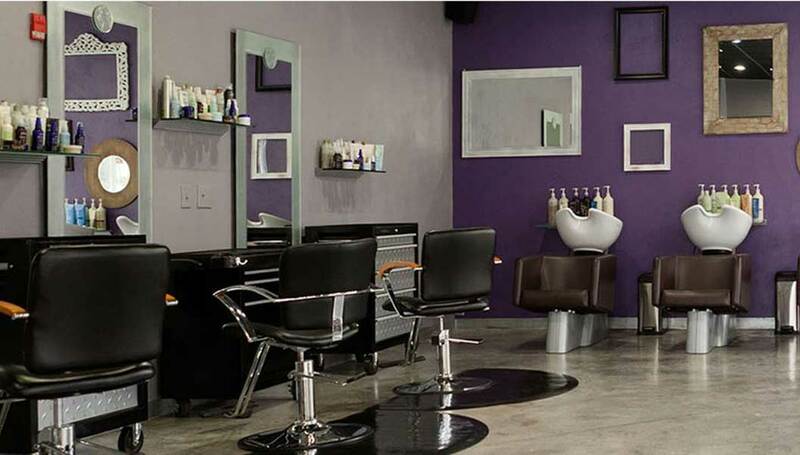 Le Reve Hair Salon uses various brands of well-known hair care products such as AVEDA, INOA, Alterna, Organic Salon Systems, Alfaparf, Kevin Murphy, Neuma, and Kemon. Address: 1456 2nd Ave, New York, NY, 10075 corner E 76 St and 2nd Ave.